When you get right down to it, sometimes it's frustrating to watch your son or daughter's games when they're youngsters. I mean, really, at the youth levels in any sport, it looks so easy, you know? If the kids would just try a little harder, they could dominate with ease, right? In youth soccer, my two older boys absolutely owned the entire field but it wasn't because they were elite players ... it was because they were mostly surrounded by kids that weren't really trying or didn't really care. Youth sports are often like that. Effort is everything and it's rewarded, almost immediately, with individual success. I've mentioned before that the difference between elite and rec level hockey players isn't really skill related at the onset. They're effort related, instead. The kids that work harder will always advance their skills at an accelerated rate. That's where the become elite. So, now that my kids are all playing at a relatively high level of hockey (while all still under 10 years old), the kids that aren't really trying are very few and far between. All of the players want to be there. All of them are working hard to succeed. So now that they're surrounded with like-minded players on their respective teams, effort alone isn't enough to gain an advantage or stand out as a high-end player against the opposition or even amongst their own teammates. Players need to be more than the hardest working to separate themselves from the pack and this rings true all the way up to the NHL. Following my 900+ games working in the AHL and now, more recently, the 300+ games watching my boys play at the mite and squirt level, I've come to the conclusion that there are 5 things, just five, that make a player stand out from the rest on any team. Okay, so this one is hardly a secret. Puck possession is the key to winning hockey games. As a player, you have to want the puck, you need to win the races, and you need to battle for (and continue to battle for) the puck when you don't win the race. So many parents and coaches think this all comes down to speed and, yeah, speed certainly helps, but confidence and determination are huge too. Oh, and don't forget effort. Some coaches call it the "compete level" and that's a solid description for it. How badly do you want the puck? The kids that are more intense and compete harder almost always find it on their stick whether they have wheels or not. This is easily the most important attribute that every good hockey player shares and should be your number one priority. If you've watched hockey a lot, you know players with this type of "puck aggression" are a HUGE asset to any hockey team. This isn't really a secret either as it's the kids that do this that score a majority of the goals (at every level) -- and that's the stuff that even those with limited hockey exposure can acknowledge and appreciate. 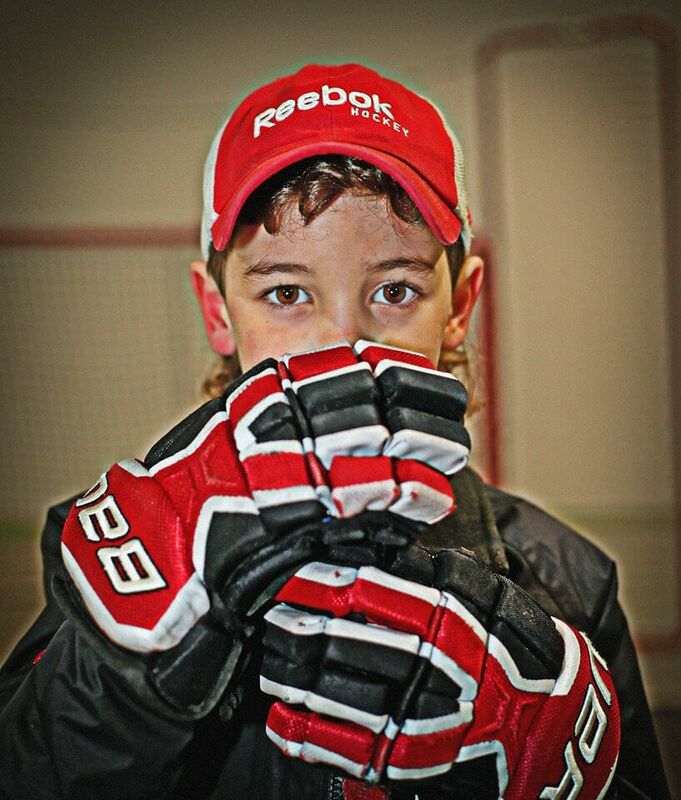 It's a simple fact that the kids that drive to the net with the puck are rewarded with the most goals. My oldest son's game lacks this attribute -- he's more of a perimeter player and it's hindered his evaluations for high end tryouts and even ice time on his current team. Rightfully so, too. Perimeter players mightmight be all-the-rage in the current NBA...but they're not exactly desirable in hockey. As a defenseman, this shortfall is often overlooked by many but he'd be so much more valuable to his team if he'd drive to the net when the opportunity presents itself. It's obvious that a player will be more successful by taking the puck to the net rather than staying on the outside and taking low-quality shots from outside the face-off dots...but so many players still take those terrible shots with regularity -- even the ones that are often first to the puck. Shooting at the net isn't the same as going to the net. Okay, so there are thousands of youth hockey players that excel at the first two things on this list and they score a ton of goals as a result. 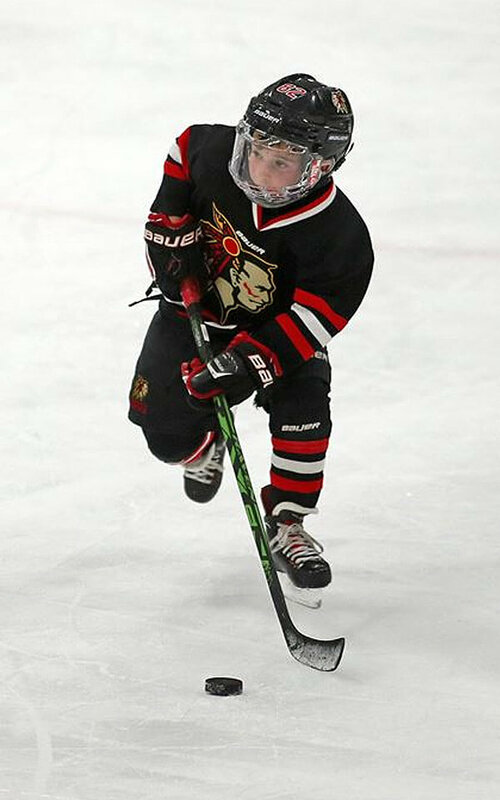 Often times, their parents and sometimes even their coaches think they're the cream of the crop -- elite goal scorers -- and they often make up the top line. Sorry to rain on your parade but those people are universally wrong. If your kid tends to hang in the neutral zone, or worse, at the far blue line waiting for stretch passes, your kid is terrible hockey player. I don't care how many goals they score. And, sure, who cares what I think? But the fact is, no matter how talented you are offensively, you WILL NOT play at a high level if you’re a liability to your team defensively. This is what quells so many first-round draft pick's careers when they make it to the pro game. 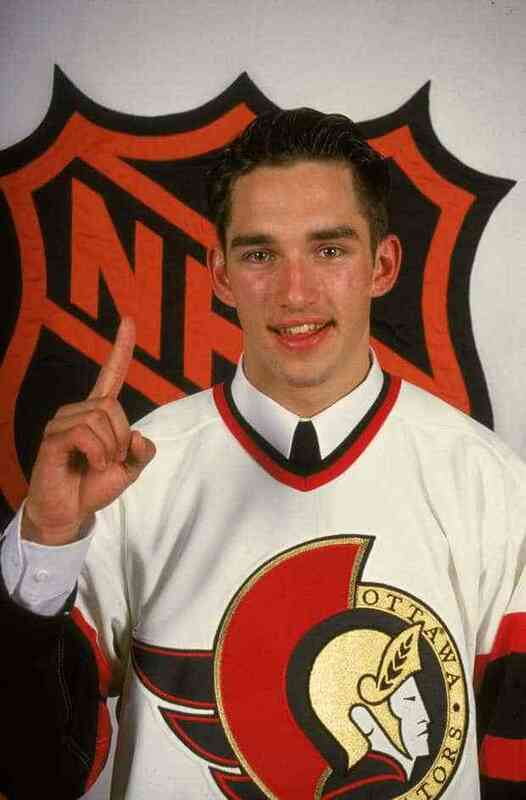 Alexandre Daigle -- the first pick in the 1993 NHL Entry draft -- is widely considered the biggest draft bust of all time. As his NHL career sputtered, fans joked that he sucked and that he was over-hyped and over-rated. Fact is, though, he was an offensive power house -- I saw it firsthand during his time with the Rangers. I mean, his skills with the puck were off the chart...it's just that he couldn't/wouldn't backcheck. Every single season he played in the NHL, his plus/minus rating was negative. He had his best season in 1996-97 with the Ottawa Senators when he scored 26 goals and added 25 assists. Decent year, even for a bust, until you look a little closer and see that he was a minus 33. And, maybe you can chalk that up to him being on a weak team...until you notice that his negative rating more than doubled that of the team's third defensive pairing...combined. Simplifying the math considerably, he was on the ice and contributed to 51 Senator goals...but the opposition potted 84 goals while he was on the ice. That's bad. Really bad. If I didn't over-simplfy the plus/minus calculation for the sake of brevity and took into account that many of his points were on the powerplay, he was actually even worse. Far worse. Coaches couldn't afford to give him the ice time to produce like he was capable of...because he was such a defensive liability. Daigle was, arguably, the most skilled player on that team but players you've likely never heard of like Randy Cunneyworth, Frank Musil, Lance Pitlick, and Jason Zent actually offered far more value to the team. Backchecking is something that a lot of parents and coaches tend to overlook when evaluating a player's game but if you watch a little closer, the kids that score the most goals are, quite frequently, among the worst players on the team. To this day, it still shocks me how many youth hockey parents think the kids that score the most are the most "valuable" to the team. And the crazy part, from the player's perspective, is that this is super closely related to the attribute some many of these players already have great success with -- being first on the puck. The problem is they only employ that attribute in the offensive zone where they can score goals. Don't hang or coast back into the defensive zone -- play the same way you would on a breakaway. You need to be giving it your all to get back in time to take away an opponent’s stick or even steal the puck. Puck possession is key, remember? Even in the defensive zone. Defense leads to offense and the harder you backcheck, the more chances and opportunities you’ll create to attack the other way. A hockey rink is 200 feet long -- if you're only playing at full intensity on half of it, you're not a complete hockey player and, as you get older, coaches will staple you to the bench as a result. We've all seen it -- that wimpy d-to-d pass that gets intercepted and taken down the ice for a breakaway goal against. Or, worse, on a 2-on-1 where they pass the puck right to what should be a helpless defenseman. At the mite and squirt level, it's a regular occurrence, like, multiple times per shift. Problem is, it's still a regular occurrence all the up to the juniors! Passing isn't even a skill!? I mean, really, Emmet is only four years old and can pass the puck effectively. If a four-year-old hockey player can do it, so can you -- but you have to send the puck off much, MUCH harder. Passing hard is a choice. I don't have an answer as to why so many youth hockey players gently slide slow soft passes across the ice. I wish I did! Coaches and parents should emphasize hard passes over and over and over and over...and correct the players when they start shooting at their teammates rather than passing to them. It might not be apparent but there's a big difference between a hard pass and a shot and the kids that figure this out the soonest are setting themselves up for success down the road. It's super rare to see kids practice passing and I get it, it's boring. But for all of the breakout drills or 2-on-1 drills they do, take notice of how wimpy the passes are. Coaches stop drills all the time for offsides or kids being out of position but they should stop it every time a wimpy pass is made too. It's a terrible habit. Might be time to bust out that old drill where the kids stand around a faceoff circle and pass pucks across to one another. Over-emphasize that the passes need to be hard. The kids will hate it but it will serve them well. Of the 20-something kids on my sons' teams...I can't think of a single player that consistently delivers hard passes. Not one. Just from my personal experiences on the ice with professional players, their passes are so hard (and accurate) compared to anyone else I've ever been on the ice with. Hockey is a fast game -- but it's not all about a player's actual speed. It's the team's ability to move the puck quickly and keep it away from the opposition. If you're part of that, you'll get noticed by the folks you most want to notice you. 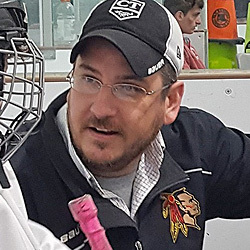 The recurring theme here is that you want to be a player that consistently generates offense and that doesn't mean you need to be the one putting the puck in the net. Yeah, so I think we just covered that you don't want to be the kid that serves up wimpy passes that are easy for your opponent to intercept. But there's more to it than that... So many players that excel at puck aggression and driving to the net (and are often rewarded with goals) are also masters of turning over the puck. You know, the kids going in on a 1 versus 3 that still try to dangle through them? It's a dumb play and always leads to a turnover. You know, it's great to be offensive minded and have a nose for the net but you have to be smart about it -- and far too many players just aren't. One of my son's teams has a habit of cycling deep in the corner and behind the opposition's net until they run out of gas and turn the puck over -- completely ignoring the fact that there are two defensemen on the points that are wide open and idle. This is partially due to their overactive nose for the net, full speed ahead mentality -- blissfully unaware that there are options behind the play. Playing two players short when you're actually at even strength (or on the power play) is a dumb decision. Use your teammates! Turnovers should be a rare occurrence. Outside of dump-ins, turnovers are always the result of a mistake, whether it's a wimpy pass, a dumb decision to stick handle into a crowd, or a clearing attempt right into a set of shin guards. Pass the puck at the right time to the right place. Draw defenders in... but let it go before they're all over you. And, please, pass it hard. Stop with the dangles at the blue line -- either blue line. Only dumb hockey players do that sort of thing. Remember that hockey is simply a possession game -- you need the puck to win. Protect it and keep it away from the opposition. Scoring lot of goals is awesome but it's truly a shame that the kids that display only the first two attributes are often considered the best players on the ice. The first two together should not be mutually exclusive of the others. Those kids might display the most skill and they'll undoubtedly have a lot of success as youngsters but they're not the best hockey players -- not even close. They're Alex Daigle wannabes. Having all five attributes in your arsenal will make you elite. And here's the best part for any player that lacks in any of these areas -- not one of these things is hard. None of them require the countless hours of practice that skills like toe dragging, going bar down, between-the-legs shots, or using your edges effectively entail. It's not hard to attack the puck. It's not hard to take it to the net. It's not hard to get back and help on defense. It's not hard to pass the puck with some oomph. Those are all just simple decisions you can choose to make on each shift and when you make better decisions, you're not going to turn the puck over very much. Instill all of these habits when they're mites -- not just the first two -- and you're lining the players up for sustainable success. Honestly, it really circles all the way back to where I started -- effort. It could take you places.